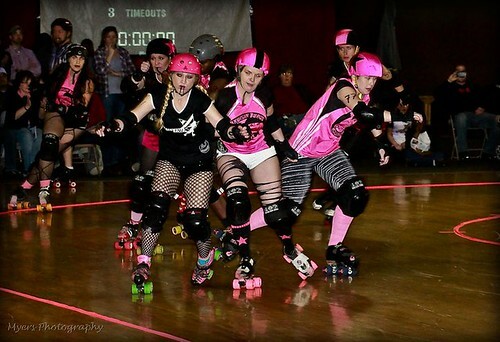 Love is a battlefield proved to be true words last week when we met up with fierce, clever and classy New River Valley Roller Girls out of Christiansburg. We loved brawling it out with these athletes on the rink and then kicking back with them at the after party at Mangia. Hello conga line! Alot of loves goes out to our hellcats freshmeat, Hell-ga and Hellacious Hoodlum along with the return of the memorable Pizazz making us a roster of 14 strong. Final score 178-71. 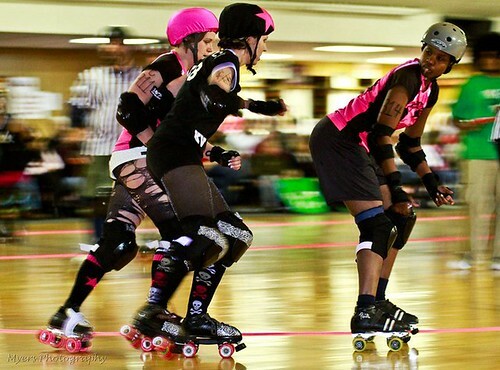 We want to thank our refs and NSOs for keeping us in line and the bout on track, Richie Yates for calling the shots and Ricky Harvell for spinning the tunes. 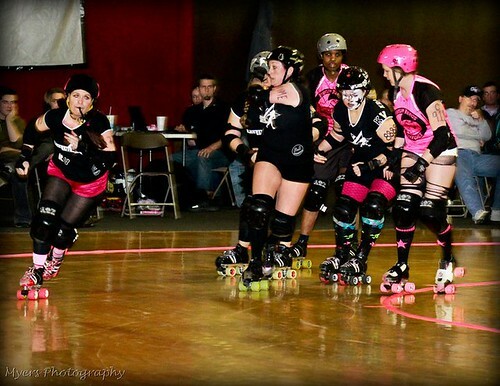 Our own “incubator” Mistyc Mayhem and derby friend Bishop from the Rocktown Rollers helped control our bench. Our biggest thanks goes out to our fans. We had one of our biggest and rowdiest crowds to date! Your love and support makes every hit worth it for us! Here are some highlight photos from our very own Rick Myers. 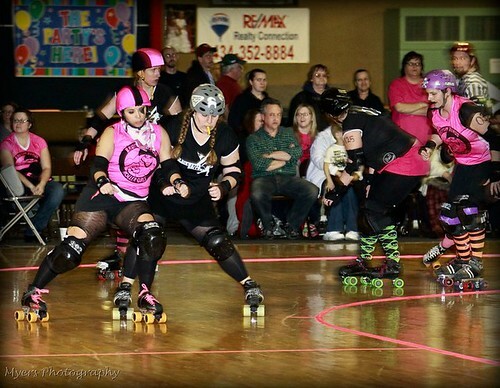 We look forward to doing it all over again on March 19th when we face the Chemical Valley Rollers Girls from West Virginia. Until then friends, derby on!